It was Jackie Ickx's turn in the Haas Racing Lola T333CS and again the title easily fell to the Chicago team. Keke Rosberg joined Elliot Forbes-Robinson in the revamped Spyders and took eight pole positions but poor reliability and several accidents meant he only won two races. Bobby Rahal had half a season in the revised Prophet and won at Laguna Seca and took pole at Trois-Rivières. The other race was won by Alan Jones at Mid-Ohio, standing in for Ickx in the Haas car. There was certainly no lack of world-class driving talent in Can-Am by 1979! Al Holbert was driving the Hogan team's newly-constructed HR-001 but this was neither quite quick enough nor reliable enough. Geoff Lees took over the pair of VDS Lola T333s and a modified version of one of these was enough for three podium finishes. 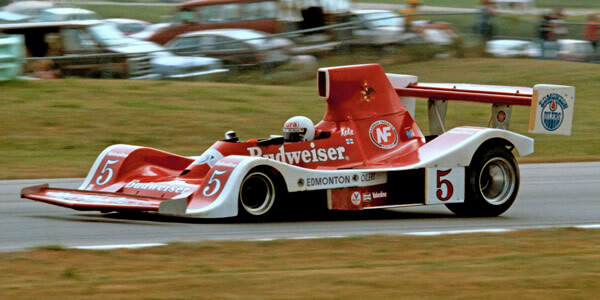 The SCCA had a separate championship for 2-litre cars in 1979, the first time such a separation appears in official records; won by Tim Evans in his seven-year-old Lola T290.